Built by Salcito Homes, and located in the esteemed guard-gated community of La Place du Sommet, 5676 E. Cheney Drive is a trophy 1.51 acres, dramatically sited in Paradise Valley--an estate for those that want ''extraordinary.'' 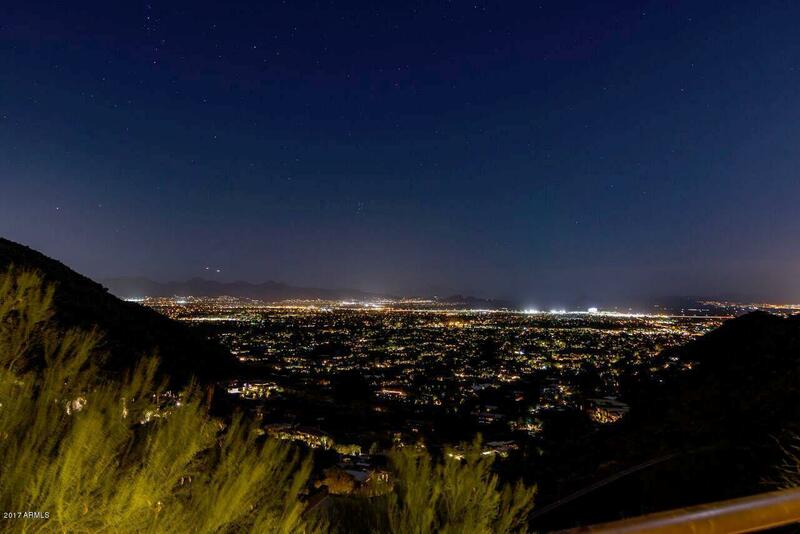 As one of the highest home sites in Paradise Valley, it owns an awe inspiring panorama where owners and guests alike can bask in the splendor of Mummy Mountain, McDowell Mountains, Four Peaks, Superstition Mountains and the valley below. In terms of design, the home is the epitome of tasteful modernity, where elements of wood, stone, glass, and copper interplay with both art and elegance. Home is in pristine condition, ready for a buyer to move in with refinished wood floors and freshly painted interior.